Yesterday, Overwatch’s public test server got an update that added new spectator options and tweaked the balance of Ana, Widowmaker, and Junkrat in ways that may or may not make it into the regular game. But that’s not all. 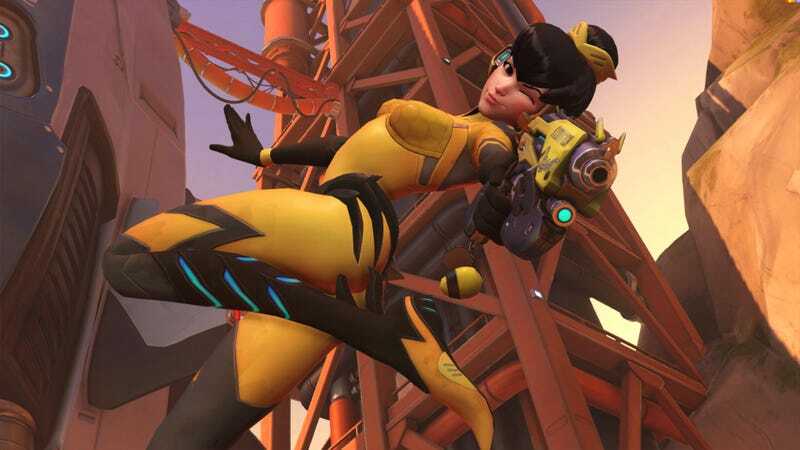 Overwatch players have spent the past 24 hours digging up heaps of new voice lines for the game’s characters, some of which seem to correspond to new levels (read: Eichenwalde) and legendary skins, while others hint at possible ability changes. And of course, some are just in for flavor. Junkrat talks about bubble tea. D.Va + legendary skin = B.Va. Mercy mourns that she was too late to save Genji (FAN FICTION CONFIRMED). There are two big gameplay changes hinted at by these lines: 1) Every character will say something to let the team know Ana has boosted them. 2) Symmetra has some new lines for teleporters and shields which suggest big changes might be on the way. Have you spent any time with the new PTR patch? Find anything interesting?